18 August 1945. Although their conquest of Karafuto (southern Sakhalin) is incomplete, thus complicating plans for a landing on Hokkaido, Soviet forces attack the Kurile Islands. Within five days they will hold the entire archipelago. 18 August 1945. A secret group surfaces in Wangin Sum calling itself the Eastern Mongolian Branch of the Inner Mongolian People’s Revolutionary Party and declares that Inner Mongolia should to be joined with the Mongolian People’s Republic. The Mongol administration of former Manchukuo is restored to work towards unification with the MPR. 18 August 1945. Over the next four days, all units of the Peta militia and Heiho volunteers (formed to support the Japanese war effort) are dissolved and their soldiers sent home. With the dissolution of established command structures, the move will hamper the creation of a national army for the new country. 18 August 1945. With its original Japanese-appointed members augmented by some senior officials chosen by Sukarno, the Preparatory Committee for the Independence of Indonesia (PPKI) endorses the constitution drafted in June by its Java-based predecessor. However, the special position for Islam is dropped and virtually absolute powers are granted to the President for a transitional period until legislative bodies can be elected. Sukarno and Hatta are chosen as President and Vice President. 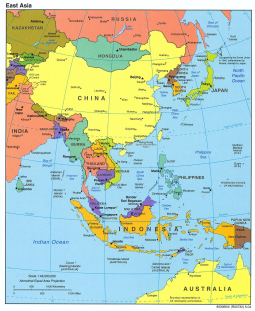 The borders of the new republic are to match those oftheold Netherlands East Indies (thus excluding British Borneo and Malaya). Next day, the PPKI meets again and approves a new cabinet as well as determining division of the country into provinces. 18 August 1945. U.S. President Harry S. Truman states that, as the British forces in Hong Kong could help Chinese and American forces to use the port to reoccupy northern China, he supports the British return. This does not halt Nationalist Chinese ambitions to recover the crown colony. Aiming to pre-empt such a move, Chinese Communist guerrillas attack the Japanese garrison in Hong Kong but are repulsed. Meanwhile, the British fleet heading for Hong Kong reaches the Philippines. 18 August 1945. With the fall of Hailar, the last organized Japanese resistance to the Soviet invasion ends. Two days later, the Soviets capture Harbin, Mukden, Hsinking and Qiqihar, and begin mopping up the last pockets of resistance. 18 August 1945. Despite being frustrated in his efforts to recover Hong Kong, Chiang Kai-shek enjoys a victory in his campaign for the return of all lost Chinese territory when French and Chinese representatives in Chungking sign a retrocession agreement for the nearby port of Kouang-Tchéou-Wan. 18 August 1945. Military and civilian administrators in Syonan (the Japanese name for occupied Singapore) are summoned to the headquarters of the Japanese 7th Area Army, where General Itagaki Seishirō informs them that Japan has surrendered. The news is then relayed to Japanese civilian organizations. Japan arranges ‘comfort women’ for American troops. 18 August 1945. Concerned to protect the women of Japan from violation by incoming U.S. troops, secret plans are made in Tokyo to establish ‘comfort facilities’ for the occupation army. 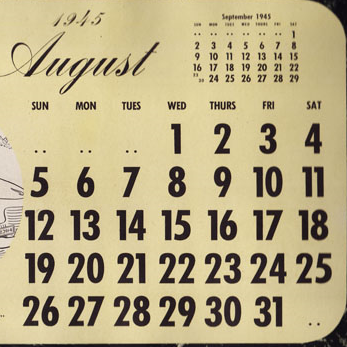 18 August 1945. Subhas Chandra Bose, leader of the Indian National Army, dies in a Taiwanese plane crash en route from Malaya to the Japanese home islands. The news staggers the Malayan Indian community from which he has just departed. 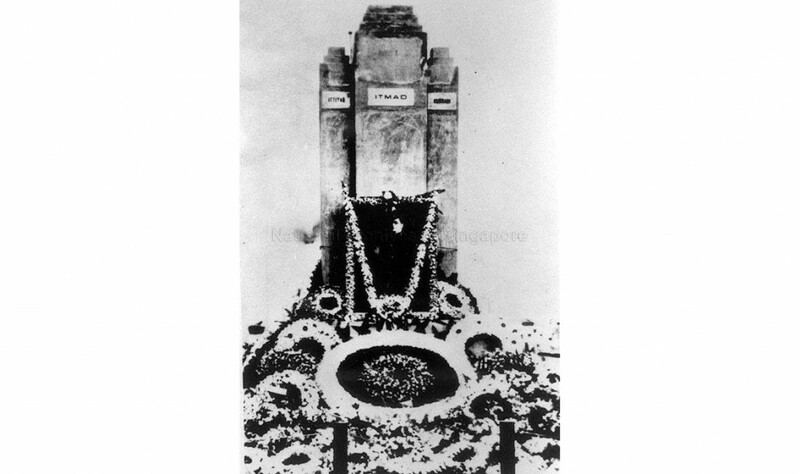 Wreaths quickly adorn the INA war memorial in Singapore whose foundation stone Bose had laid only weeks earlier. One of the first actions of the British on their return to Singapore is, on 6 September, to demolish the memorial.